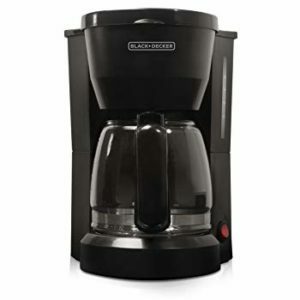 For decades, coffee makers have been sold all over the world. Their beautiful designs complement most kitchen themes while their coffee is loved by millions of coffee lovers of different age and preference. 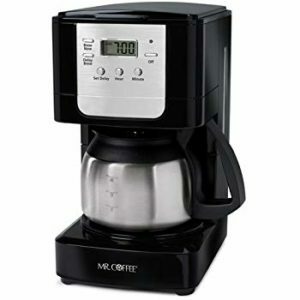 We have put together a list of coffee makers that are durable, easy to use and quick to clean. They brew some of the tastiest coffee drinks, and you can make the drinks even better by adding rich milk foam or chocolate powder on top (Source). 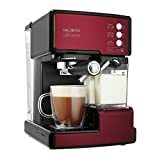 This coffee machine will be perfect for individuals who like their coffee made quickly without jeopardizing its taste qualities. It is very easy to clean and operate while its sleek silver design will complement any kitchen theme. 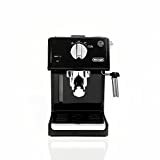 Plus, this model has several great features that distinguish it from other espresso machines currently on the market. For instance, the milk tank in this model can hold enough milk for you to brew enough cups for a big group of friends that you might have over. 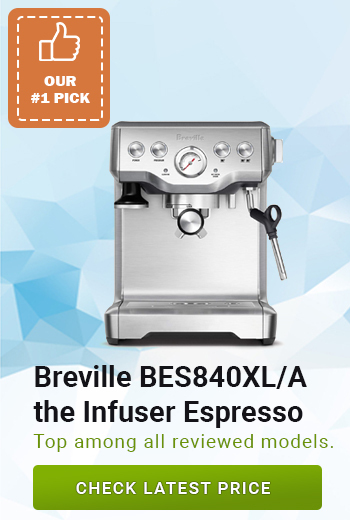 Breville coffee machine comes with an infuser that steadily applies low pressure to the water right at the start of the extraction process so as to gently bring out the best of the coffee beans taste. The water temperature is controlled through the thermacoil heating system ensuring that the water temperature is always just right and that your espresso never tastes burnt. Moreover, you can control the temperature of the milk by pressing a button that is conveniently located at the top of the front panel. Breville Duo-Temp Pro Espresso uses an Italian made pump to extract only the best properties from the coffee beans by first using low pressure and gradually increasing it to the needed amount. However, this machine is capable of extracting only one or two shots at one time but does work with pre-ground beans or fresh ground ones. 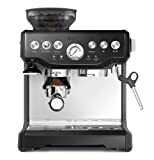 The large water tank eliminates the need to frequently refill it while the built-in steam wand will heat and froth milk for the soft and velvety foam to go on top of the coffee. 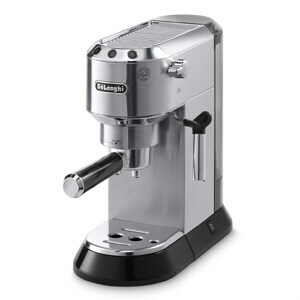 Moreover, it makes coffee in 20-30 seconds depending on whether you have selected milk foam to go on top or not. Furthermore, it’s self-cleaning. Just press the button and it will clean itself using the remaining water and steam in the water compartment. 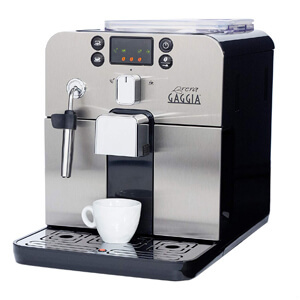 A great coffee machine that makes espresso in mere 25 seconds using pre-ground or fresh ground coffee. The large water tank allows this coffee machine to brew plenty of cups of coffee with enough steam being left behind for a self-cleaning cycle. This is the only De Longhi machine model that has a very clear water line indication; hence you do not have to worry about whether there is enough water in the water tank. Plus, it is very compact and suitable for small kitchens- little counter space is no longer an excuse for not having a coffee maker. 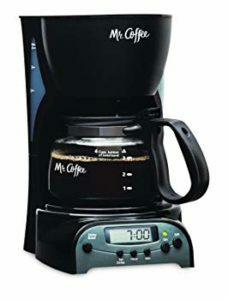 The pretty stainless steel design will complement your kitchen interior while the delicious coffee will genuinely revitalize you in the morning before work. You can find it in several colours and two different finishes, plus it comes with 3 different cord sizes. 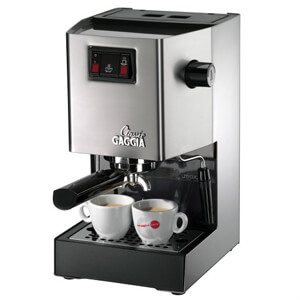 In this Gaggia model, the milk frother comes separately and can be easily cleaned by either using the self-cleaning button or washed under the running water in the sink. 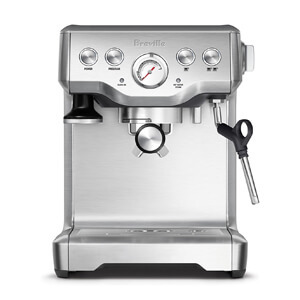 Similar to the silver variant, this model can brew delicious coffee from ground or whole bean coffee beans. Plus, the holding tray is big enough to store two cups at the same time meaning you can brew twice as many cups of coffee when you have large groups of friends over. 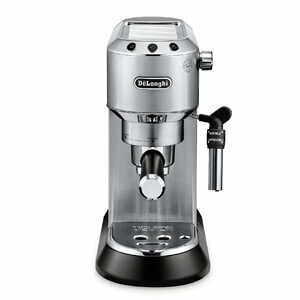 De LongiDedica Deluxe Coffee Maker is perfect for 3 different cup sizes. The enhanced milk infuser ensures you get a great coffee blend with water and helps create the creamiest foam on top of your selected coffee drink. 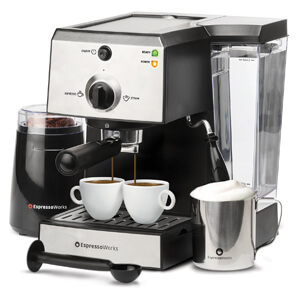 Plus, this De Longhi Espresso Coffee Maker is also available in the deluxe version that offers a larger water tank and bigger cup holding tray. 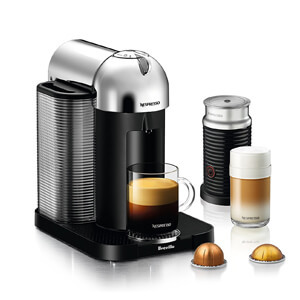 Nespresso Latissimo Prois super compact in size and is sold at a very affordable price, plus it is available in over 9 different colours and 2 different finishes. The downside of this coffee maker is its very small water tank which is only large enough to make several average sized coffee drinks. 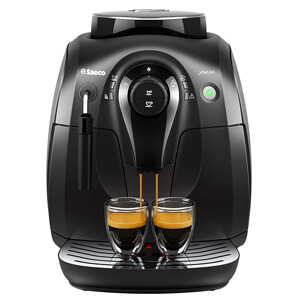 It has two pre-programmed buttons for espresso and lungo,however, it only works with the Nespresso capsules. Buyers have reported it making a very creamy layer on top of the espresso from fresh milk that is instantly heated and frothed. The patented Aeroccino Frothing technology works great at steaming and foaming the milk in less than 30 seconds. Also, it has an automatic descaling mechanism that helps maintain this coffee maker in pristine condition. This model has become iconic over time thanks to its elegant design and compact size as well as very sophisticated black colour. 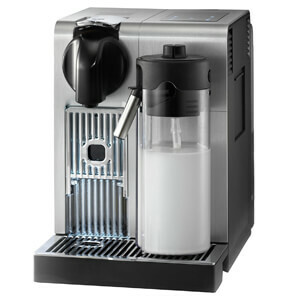 Overall over 8 million Saeco coffee makers have been sold all over the world. 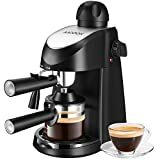 Saeco uses ceramic grinders in order to deliver premium testing espresso from freshly ground coffee beans.Plus, the milk frothing wand has added extending wands to froth even creamier foam to go on top of your drinks. Moreover, customers can choose 5 different types of grind ensuring you always get just the right cup of coffee whenever you are in need of a caffeine boost (Source). Firstly, ask yourself how often do you brew coffee and how many servings do you normally serve to other family members. Moreover, if you often host large groups of friends then you might want to look at coffee machines that brew at least 12 cups of coffee. 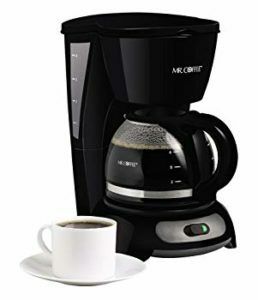 Furthermore, consider coffee makers with good filtration system or the ones where you can connect your own filters as coffee made with water without the usual impurities is much more delicious. Normally, coffee makers have carbon block filters that are integrated into the system and they contribute to the general taste of the coffee (Source). However, you would need to remember that the quality of your coffee will also depend on the type of water you use. 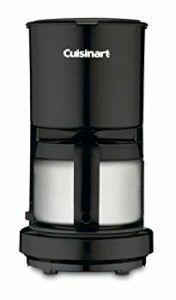 If you are confident in your water and have checked for impurities only to find out that it is in the normal range then carbon block filters will have zero benefits to you. 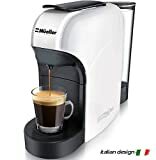 In conclusion, I would like to remind you to pay special attention to what coffee you prefer to drink more often as some espresso coffee machines make only one type of coffee while others do not produce the needed milk foam for drinks such as latte or cappuccino.